Power-Pole Signature Series: As Light as 13 lbs. Like the idea of a Power-Pole but worried about adding weight to the transom of your skiff? 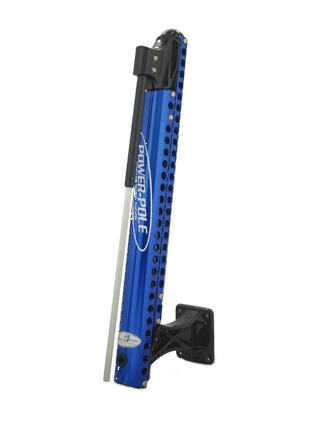 The Signature Series, specifically designed for lightweight technical poling skiffs, weighs in at just 13 - 15 lbs. and puts an emphasis on fast, quiet deployment. It's available in white, black, blue, and red in a choice of 4- and 6-foot lengths. As an authorized dealer for the entire Power-Pole line, Beach Marine can order and install whatever model you want. Give us a call or stop by the shop for options and pricing. Newer Post27 oz. ORCA Chasers in Stock!